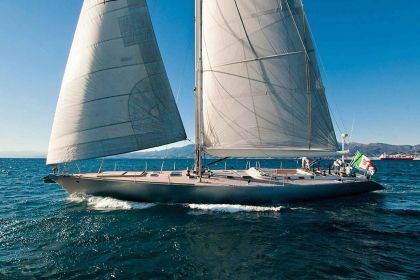 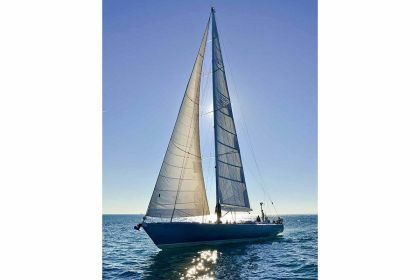 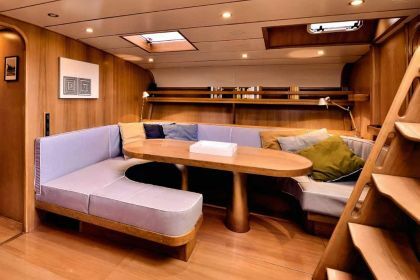 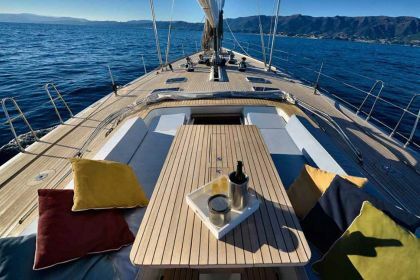 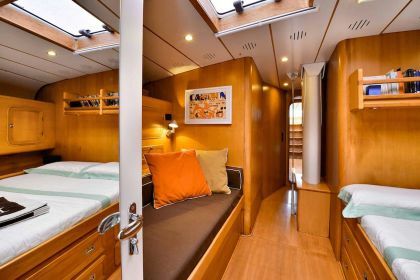 Sailing yacht Tess has a spacious cockpit with a dining table for alfresco meals and there is plenty of space to lounge and relax on the yachts uncluttered decks. 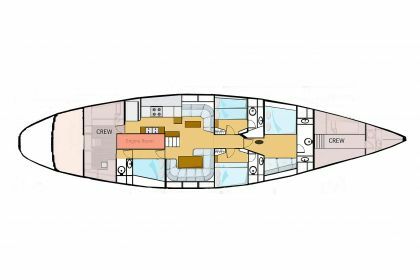 Yacht Tess has an elegant saloon with two separate seating areas, perfect for enjoying the modern entertainment centre. 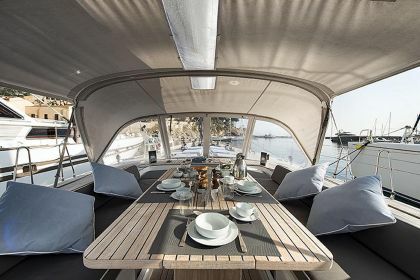 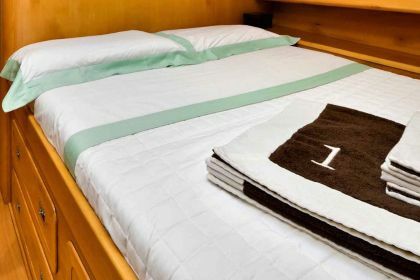 Tender 3,50 with 15Hp (2012), Sea Scooter (2012), great sunbath mats (2012), sun awnings.